The Spicy Series collection of incense has hot fragrances that can put you on fire. Its oriental flavor is as rich as it can get, and has a very rare and unique aroma. Put your senses on fire without having to burn yourself. Spicy Incense Stick is one of the variety that our all encompassing range offers and are appreciated to tinge one's senses. 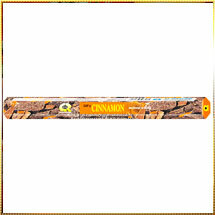 We have made this range of Incense Stick using herbs and premium combustible materials that release less smoke. We also ensure tamper-proof packaging for this range that helps in retaining the original fragrance of the Incense Stick for long time period.